When we arrived, we found that we weren’t the only ones in attendance who were driven to raise aspirations for young people with disabilities — often, in the startup world, we are the only ones in the room with our particular mission. But this time, there seemed to have been a special emphasis on inviting colleagues who, like us, take action against the lack of opportunity, visibility and accessibility that makes full inclusion in society challenging for those with complex needs and learning disabilities. One of the colleagues we met was Parmi, a lecturer, advocate, thought leader and lobbyist who spoke of the work of her organisation, Include Me TOO and her family’s journey. 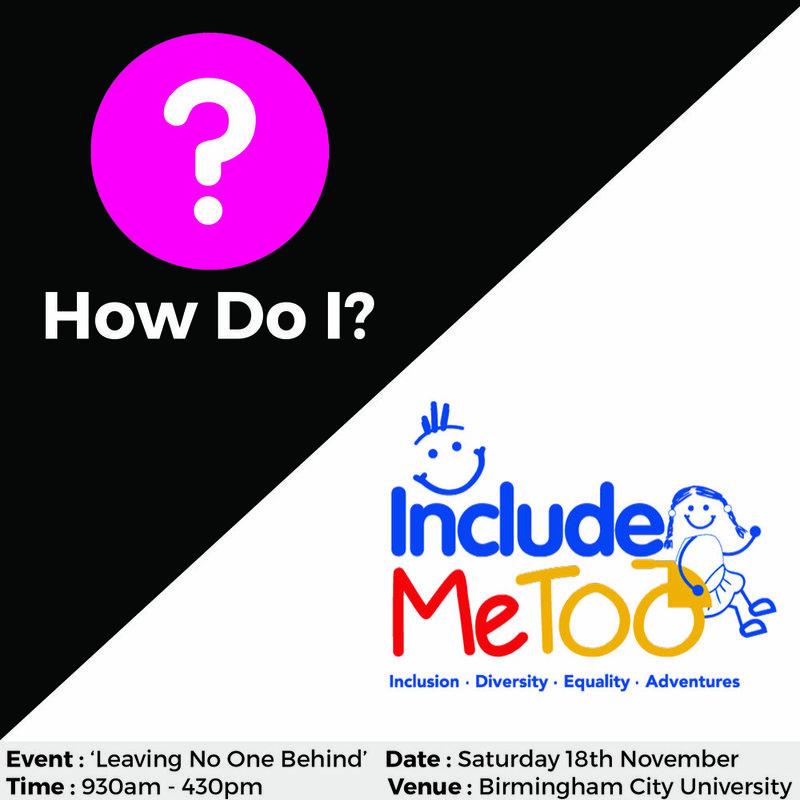 Include Me TOO is an inspirational charity supporting disabled children, young people and their families from a diverse range of backgrounds. Parmi chronicles her son Callum’s journey and her parenting experience on her blog, Callum’s Promise, and has also written for Huffington Post. We’re very proud to have been invited to speak about How Do I? at the event alongside Parmi, Dan, Mik Scarlett and a host of others — pop on over to their website to register!